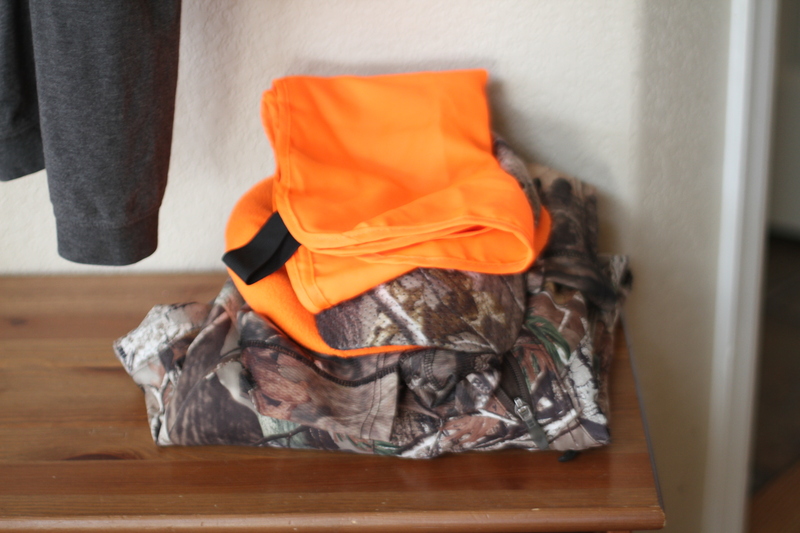 This week we put away the hunting garb, freshly washed. No elk this year. But the boys are all still practicing their elk calls. Even the baby. Christmas is coming. It all fits in one box for us. Mostly beloved books. I own 6 ornaments. This is my favorite Christmas bit. 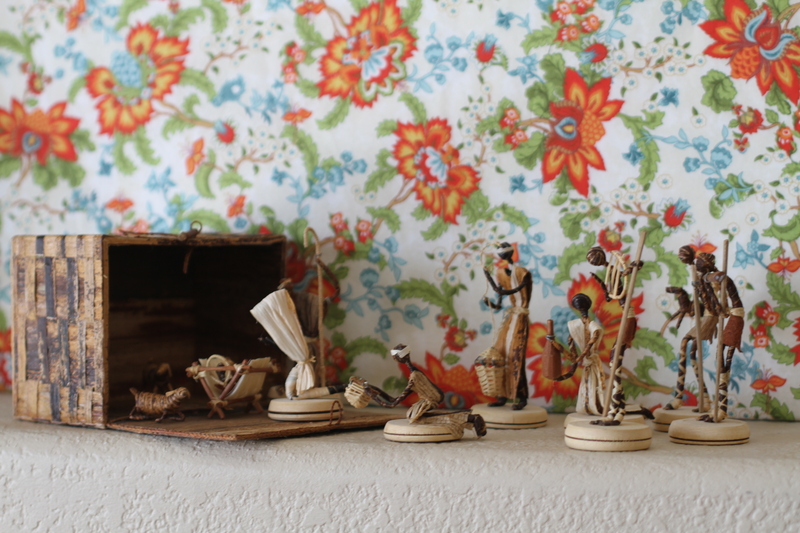 I got this nativity in Kenya, Dec ’05. All the pieces fit in the beautiful banana leaf box. 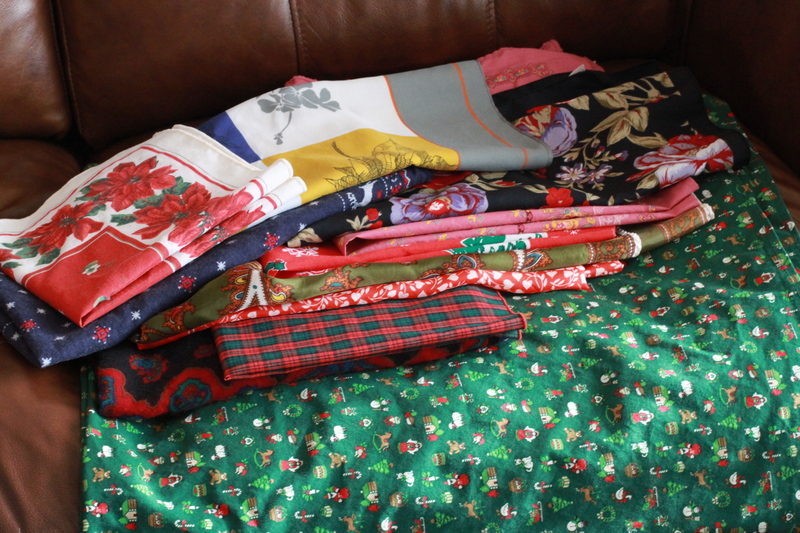 The stack of scarves for gift wrap is growing. The presents are going to be so pretty! I’m going to sew ribbon on some of them. 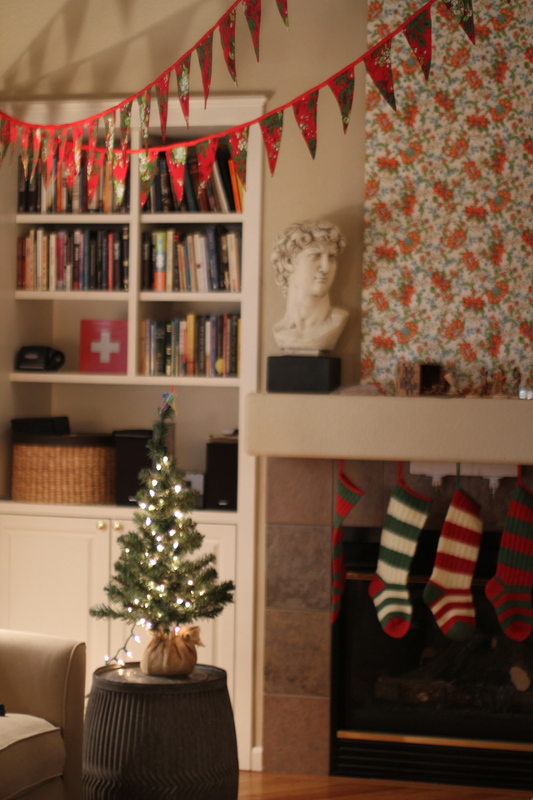 I’ll be thrilled to not have a bag of paper waste on Christmas! 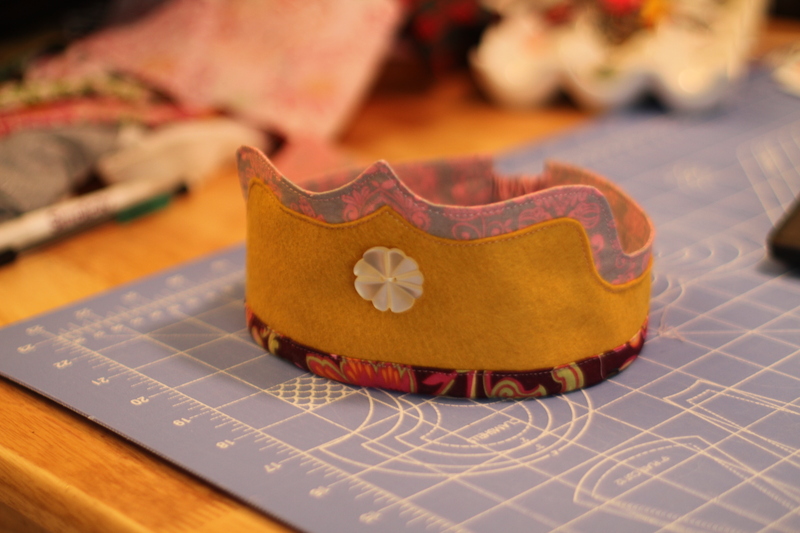 I finished this crown and dress for a little birthday girl today. I do so hope they fit. It is my most favorite thing in the whole world to give good gifts. The postman is my constant conspirator. 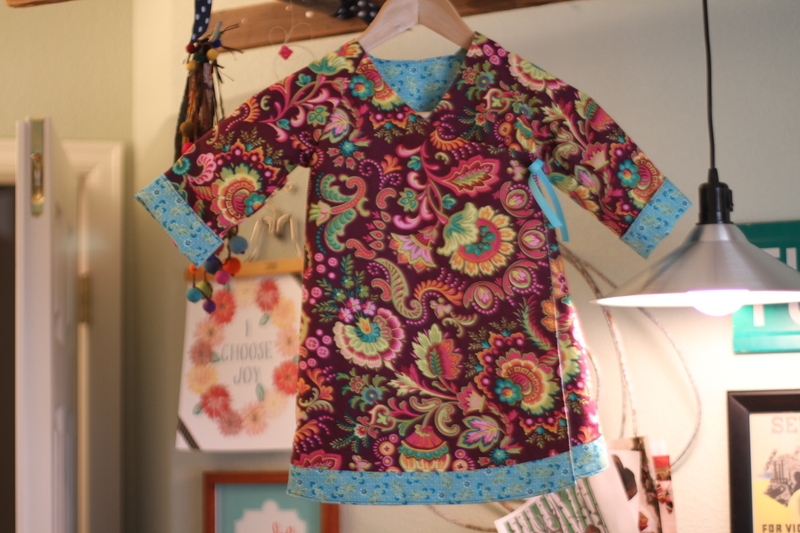 You are currently browsing entries tagged with sew at whatsarahfound.